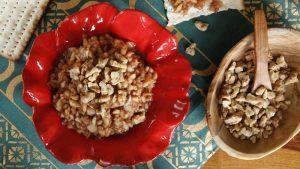 Home > Blog > Diane Fennell > Battling Food Cravings? Try These Strategies. Battling Food Cravings? Try These Strategies. For many people in modern Western society, tempting, if unhealthful, foods are an ever-present part of the environment. But if you’re having difficulty getting a handle on food cravings, you’ll be interested in new research indicating that distraction techniques such as toe tapping may be a possible solution in people who are overweight or obese. Studies have shown that mental tasks such as sorting cards on a computer screen can help reduce food cravings, but these approaches are not necessarily practical for use in public. To determine whether more discreet methods are as useful for counteracting cravings, researchers recruited 55 obese people with an average body-mass index of 43.7, who were asked to identify their four favorite foods. As a control, the participants were asked how intensely they craved a food and how vividly they were imagining the food on a scale of 0 to 100. The experiment was then repeated while the participants spent 30 seconds either tapping their forehead, tapping their ear, tapping their toe, or imagining a blank, white wall. 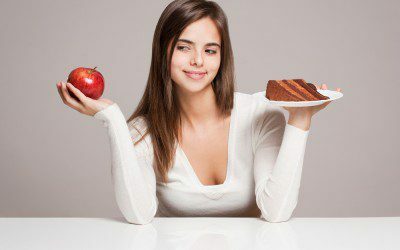 All of the tasks were found to significantly reduce the intensity of food cravings, with the forehead tapping lessening the cravings by up to 10% more than the other tasks. Both toe tapping and imagining a blank white wall, the researchers note, can be done discreetly in public. The study authors believe that the distraction tasks interrupt the brain circuitry that is involved with imagining the food, putting a stop to the craving. Research has also revealed the roles of various brain regions involved in food cravings. To determine whether various cognitive strategies similar to those used in smoking-cessation trials can impact the brain’s response to food, investigators taught 25 overweight or obese people four cognitive strategies: In “allow,” the participants accepted their thoughts but recognized they did not have to act on these thoughts; in “distract,” they thought about something other than food; in “later,” they focused on the negative long-term consequences of eating the food in question; and in “now,” they imagined the immediate reward of the food. The participants underwent magnetic resonance imaging (MRI) scans and rated their urge to eat while viewing a tempting food and using one of these strategies. When they focused on the long-term consequences of eating an unhealthful food, they reported a decreased urge to eat at that moment and their MRIs indicated there was an increase in regions of the brain involved with inhibitory control. Chris Ochner, PhD, incoming cochair of the Obesity Society Public Affairs Committee, noted that much can be learned by studying the brain and eating behavior and expressed a hope for future research in these areas. For more information, read the article “Distractions Such as Toe Tapping May Reduce Food Cravings” or see the study’s abstracts (T-2658 and T-3020-OR, respectively) on the Obesity Week 2014 website. And for more approaches to controlling weight, click here.